Body lotions don't have to be in a lotion or cream form. Solid body lotions contain no water so there is little worry about separation or spoilage. The warmth of your body allows these skin loving oils to be easily absorbed as they soften on contact with the skin. Ideal favors for parties or bridal showers! Consisting of jojoba oil which had been infused with vanilla bean pods, cocoa butter and beeswax, it's a combination that can easily be described as a luxurious, sensuous skin food. A desert shrub, jojoba oil isn't an oil at all. It is the liquid wax extracted from the plants' seeds. Jojoba oil so resembles human sebum that it acts as a protective coating, sort of like a second skin. The jojoba oil used is unrefined jojoba which is golden in color rather than the cheaper refined which is clear and odorless. The most likely explanation as to why vanilla's scent is so captivating lies in the fact that the sweet fragrance (Heliotropin) in vanilla has the ability to soothe emotional tension, anxiety and lift one's spirits. A product that put's both men and women in the mood for connecting on an emotional as well as physical level is definitely worth being called the "nectar of the gods". The vanilla bean pods used for the jojoba oil infusion are the natural, organic product of a labor-intensive agricultural crop. The vanilla plant (Vanilla planifolla) is grown as a perennial herbaceous vine in countries that are near the equator. It takes almost five years for the vines to produce beans ready for harvest. Once harvested, the pods must go through a sun drying, curing process to turn them into the fragrant brown pods of which we are familiar. Natural vanilla is not the same as synthetic vanilla. Ninety-five percent of all vanilla used as a fragrance or flavoring is synthetic. Rather than just smell good, only natural vanilla beans can offer you the true, therapeutic value to the brain and nervous system. Vanilla can have a positive effect on those dealing with sadness and anxiety. Cocoa butter is called an ultimate moisturizer. Containing Vitamins A and E as well as high in fatty acids, it is very healing for rough, dry skin in need of some extra attention. 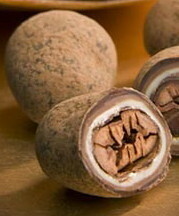 Cocoa butter forms a protective barrier between sensitive skin and environmental exposure. It is highly protective in that it prevents dehydration by staying on the surface of the skin and seal in the benefits from the vanilla jojoba oil. Cocoa butter is solid at room temperature but melts when applied to the warmth of your skin. Finally, all this goodness is thickened up with beeswax, a key ingredient when making salves. 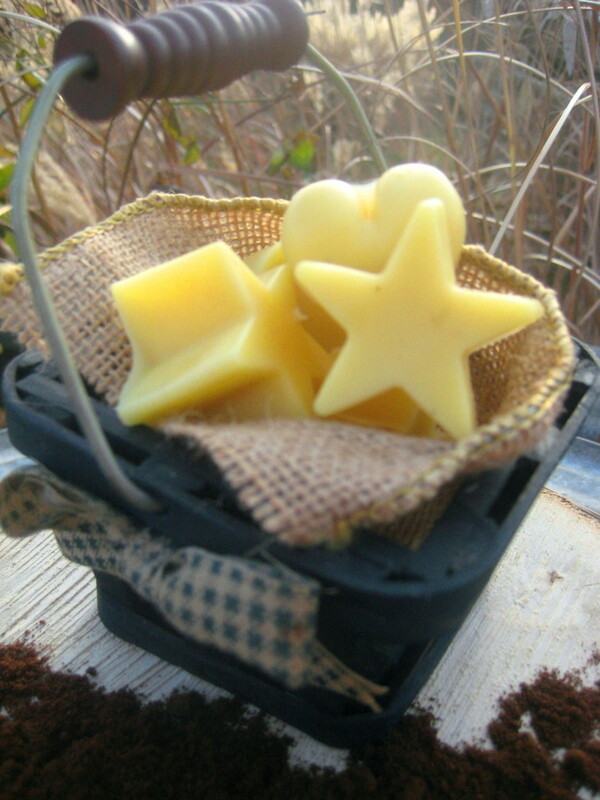 Beeswax provides a protection against irritants while still allowing the skin to breathe. A natural wax produced by honeybees, beeswax helps protect the hive from infection. So to include beeswax in skin care, it is helpful in treating skin problems. 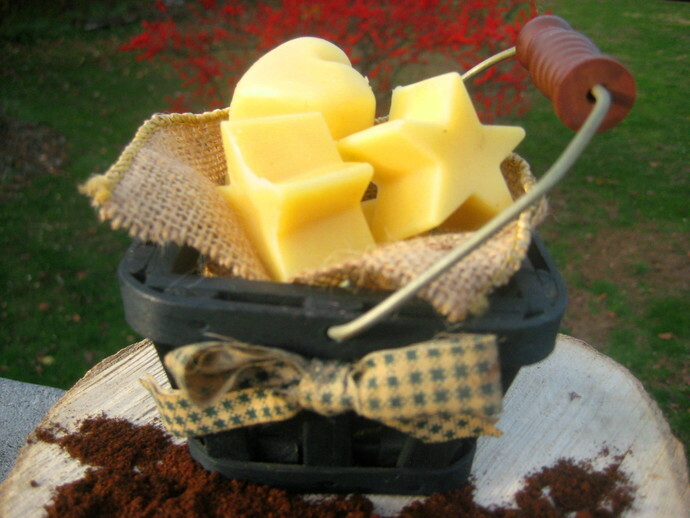 Beeswax also acts as a humectant, which means it attracts water molecules. In doing so it helps keep skin hydrated. Just rub the bar over whatever areas of your body need moisturizing, pampering or healing. Great for spot applications such as hands, lips, around the eyes, rough knees, elbows, heels, freshly shaven legs, dry itchy patches, scars, stretch marks. The star points work great for applying around the lips and eyes. These vanilla jojoba body butter bars contains no added essential oils, therefore there are no concerns as to the safety for its use by pregnant women. Any black specks you may see in the lotion bars are just from the vanilla jojoba oil. Body butter bars number about six pieces for a total of 2 oz. by weight. You choose at checkout which shape or shapes you would like. If you choose a combination, let me know which shapes you want. A quaint little basket is included for display at home but for portability a small tin or plastic container would be ideal. If you don't want the basket than I can send along an 8 oz size plastic jar to store them all in or a 1 oz size plastic jar which would fit one bar at a time for travel. Just let me know.